Israel's leaders were well aware that the May 2010 Turkish flotilla was unlike any previous attempt to breach the blockade on the Gaza Strip, but failed to follow protocol in dealing with the unwonted incident, according to a report released by State Comptroller Micha Lindenstrauss on Wednesday. In a document published on the eve of his resignation, Lindenstrauss claims that he had found major fault with Prime Minister Benjamin Netanyahu's decision-making process amid the flotilla events. The leader failed to orchestrate a coordinated, orderly discussion over the impending course of action; instead, he held private meetings with the defense and foreign ministers – meetings that were not documented. In fact, aside from a discussion held by the so-called forum of seven a few days before Netanyahu left for his north America visit, no Cabinet meeting was called to discuss the impending flotilla. The forum of seven, a group of senior Cabinet members headed by the prime minister, has no constitutional basis. The strategy, Lindenstrauss wrote, was put together hastily and in a manner that did not follow the recommendations made by the Winograd and Lipkin-Shahak commissions, which were formed following the Second Lebanon War to examine the government's decision-making process. According to the report, intelligence about the flotilla began to amass in early 2010, prompting then-IDF Chief of Staff Lt.-Gen. Gabi Ashkenazi, Defense Minister Ehud Barak and Strategic Affairs Minister Moshe Ya'alon to urge Netanyahu to convene an integrative Cabinet meeting on the matter. But despite the warning signs, the appropriate bodies were not activated and no structured discussion was held prior to the flotilla's departure. Moreover, the prime minister failed to hold a discussion that included both the defense and the foreign minister – a dialogue that could have yielded both a diplomatic and a political effort to prevent the flotilla from leaving in the first place or bar it from getting as far as it did. Only on May 26, five days before the violent raid on the ship, did the prime minister convene the forum of seven. Relevant officials, including the justice and internal security ministers, were not invited. The discussion generally was not in line with national security decision-making protocols proffered by the abovementioned commissions. The comptroller also found that the prime minister did not activate the National Security Council to deal with the Gaza-bound flotilla; the NSC, a subdivision of the Prime Minister's Office, held its first meeting on the matter as late as May 12. 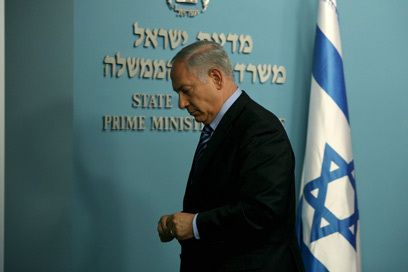 Requests by NSC officials to be involved in the strategy discussions were shut down by the Defense Ministry and the IDF. Lindenstrauss asserts that the failure of IDF officials to attend a meeting called by the NSC is a blatant disregard of the procedure dictated by the Wingorad Commission. He branded the faulty conduct as illegal and said it compromised the council's ability to aid leaders to make decisions. Lindernstrauss levels criticism at the defense minister as well, claiming that he never examined the army's preparedness to deal with a violent response on the part of the ship's passengers, despite being aware that such a scenario could occur. Over two weeks prior to the raid, Ashkenazi warned that a flotilla debacle won't be over quickly and advised Netanyahu to choose a course of action that would prevent the flotilla from embarking on its journey. "I have no doubt that force will be used," he said. "The people will confront us. We would be deluded to think that if 20 people parachute onto a ship of 400 passengers, they will get applause. The (passengers) will fight." According to the report, Netanyahu met with a top Egyptian official on May 24 in an attempt to launch a diplomatic effort to stop the flotilla from leaving. A day later, talks between Israeli leaders and Turkish Prime Minister Recep Tayyip Erdogan were held, mediated by a third party. The Turkish flotilla, aiming to break the Israeli maritime siege on Gaza, neared the Strip's shores on May 31. When the IDF's repeated calls to halt went unheeded by the Mavi Marmara and the five other vessels in the fleet, Navy commandos descended onto the ship from a helicopter. 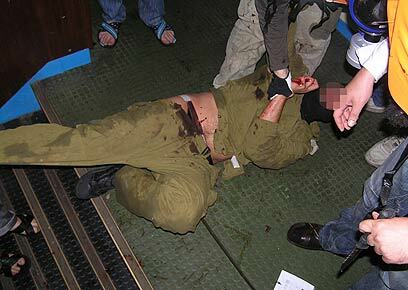 Met with violent resistance by its passengers, the commandos killed nine men. International outrage and a diplomatic rift with Turkey followed. The comptroller noted that while his assertions are not enough to conclusively indicate that the unfortunate outcome of the flotilla could have been prevented had the decision-making protocols were followed, the incident should serve as a lesson for the future. Responding to the state comptroller's findings, the Prime Minister's Office said that the defense establishment was not aware of the magnitude of risks posed by the ship's passengers. "The defense establishment was not aware and could not have been aware of how dangerous the flotilla passengers could be," the office said. "It's safe to assume that if the military echelon knew how dangerous the participants would be, it would have prepared differently and the flotilla's outcome would have been different." Hamas Prime Minister Ismail Haniyeh said Wednesday afternoon that the State Comptroller's report proved that IDF troops had committed crimes against humanity. "What happened on the Marmara… was out of bounds, the human mind can't comprehend it," Haniyeh said, calling for Israel's leadership to stand trial in the international court. See all talkbacks "Comptroller slams PM in flotilla report"